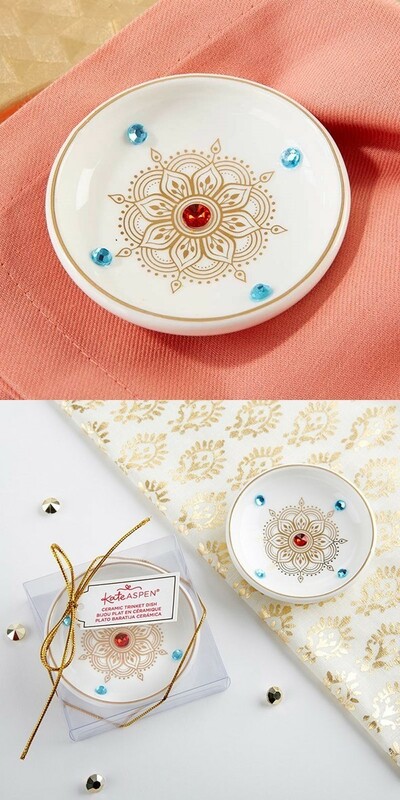 This beautiful decorative round "Indian Jewel" trinket dish from Kate Aspen features a henna-inspired design in gold foil at the center with red and blue rhinestone accents. Hand wash only. Each comes packaged in a clear acrylic gift-box. PLEASE NOTE: Sold individually. Pictured fabric and diamond confetti are not included.